J J Cale! | Russ & Gary's "The Best Years of Music"
I wrote this draft in June 2013, but unfortunately on July 26, 2013 we lost one of my favourite singer, songwriters, RIP JJ. Gary: “Tonight I will look at a man who, was far from a Pop Star, great songwriter, contributed to the Tulsa Style of Music, one of the most laid back singer/ songwriters I know of and yes, when asked, Eric Clapton said that he was his favourite artist, Neil Young said he and Jimmy Hendrix were the best electric guitar players ever, in his opinion. He would be 74 in this year of 2013. J.J. Cale (born John Weldon Cale on December 5, 1938, in Oklahoma City, Oklahoma) is a Grammy Award-winning American singer-songwriter and musician best known for writing two songs that Eric Clapton made famous, “After Midnight” and “Cocaine“, as well as the Lynyrd Skynyrd hits “Call Me the Breeze” and ” I Got the Same Old Blues“. Some sources incorrectly give his real name as “Jean Jacques Cale”. In fact, a Sunset Strip nightclub owner employing Cale in the mid-1960s came up with the “J.J.” moniker to avoid confusion with the Velvet Underground’s John Cale. 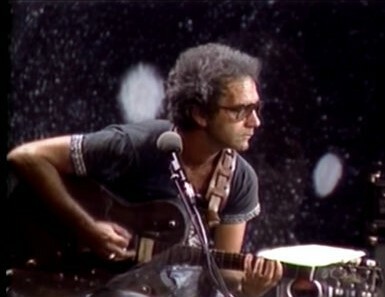 In the 2006 documentary,To Tulsa and Back: On Tour with J.J. Cale, Rocky Frisco tells the same version of the story mentioning the other John Cale but without further detail. Cale is one of the originators of the Tulsa Sound, a very loose genre drawing on blues, rockabilly, country, and jazz influences. 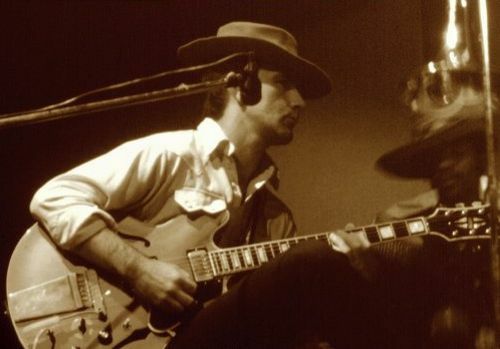 Cale’s personal style has often been described as “laid back”, and is characterized by shuffle rhythms, simple chord changes, understated vocals, and clever, incisive lyrics. Cale is also a very distinctive and idiosyncratic guitarist, incorporating both Travis-like finger picking and gentle, meandering electric solos. His recordings also reflect his stripped-down, laid-back ethos; his album versions are usually quite succinct and often recorded entirely by Cale alone, using drum machines for rhythm accompaniment. Live, however, as evidenced on his 2001 Live album and 2006 To Tulsa And Back film, he and his band regularly stretch the songs out and improvise heavily. Artists including Eric Clapton, Mark Knopfler, Neil Young, Tom Petty, and Bryan Ferry, have noted Cale’s influence on their music; several artists in addition to Clapton have made hits of Cale songs, and many more have covered them. His most covered songs include “Call Me the Breeze“, “Sensitive Kind“, “After Midnight“, and “Cocaine“. Cale is also well known for his longstanding aversion to stardom, extensive touring, and even continual recording. He has happily remained a relatively obscure cult artist for the last 35 years. The release of his album, To Tulsa and Back in 2004, his appearance at Clapton’s Crossroads Guitar Festival, and the 2006 release of the film documentary, To Tulsa and Back: On Tour with J.J. Cale, have brought his understated discography and songwriting to a new audience. 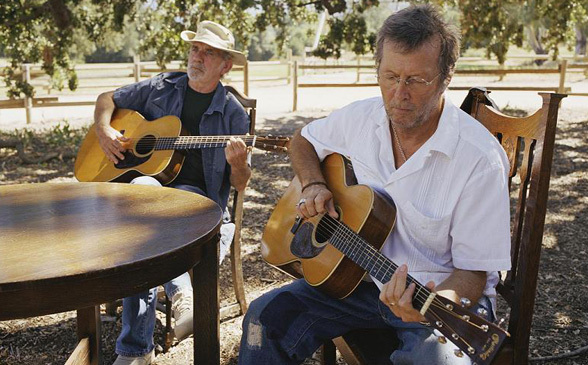 This mainstream exposure continued into late 2006 with the release of a collaborative album with Eric Clapton, The Road to Escondido, which won Best Contemporary Blues Album at the 50th Grammy Awards in 2008. February 2009 saw the release of his 23rd album, Roll On, including the previously unreleased title track recorded with Eric Clapton. 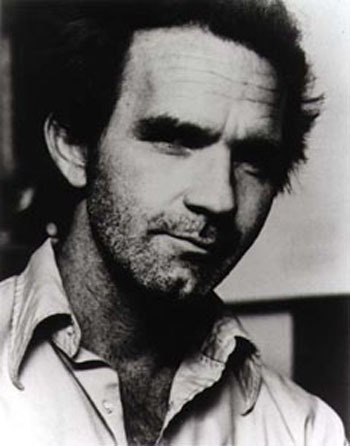 Pingback: J.J. Cale | Russ & Gary's "The Best Years of Music"
Pingback: J.J.Cale (After Midnight) | Russ & Gary's "The Best Years of Music"
Pingback: A-Z Billboard Singles – Letter C | Russ & Gary's "The Best Years of Music"
Pingback: Brian Hyland | Russ & Gary's "The Best Years of Music"
Thank you Gary for this exposure to a great artist, allowing others to appreciate his talent like we do.